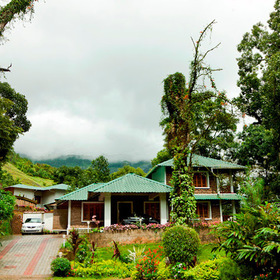 Located at a unique vantage point on top of a hill and embraced by acres of untouched land and forest, Poetree is a dream, built on principles of sustainability, eco-friendliness and being one with nature. 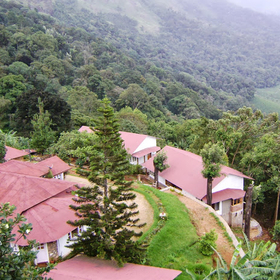 A resort, with an ethos that stems from the heart and spirit of the land that it is built on.Poetree was built with strong principles of natural conservation and sustainability, a sense of spirit that we refer to as ‘The earth and soul’. The resort structure and foundation is built from rock and rubble from the barren land that this once was. 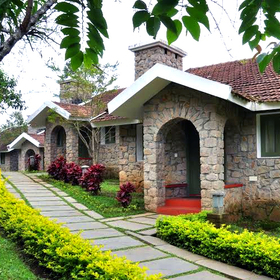 The exterior walls, plastered with sand and mud, own to Thekkady. The thatched roofs, built from local elephant grass, with the hands of the unique Mannan tribe from hardly kilometres away. Not more that 32 trees were felled during construction but yet, made up by 435 fruit trees planted back to the earth. The location gives us advantages of minimal air-conditioning and glazed walls that let in maximum light, thus with a low reliance on electrical power. 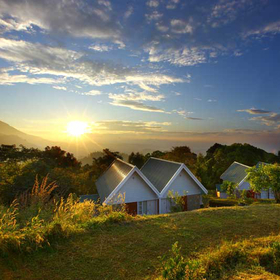 Located at a unique vantage point on the top of a hill and embraced by acres of untouched land. Blending ancient Indian wisdom with contemporary therapies, the SVA Spa. Private jacuzzi on the attic floor as you soak in panoramic views of the Periyar. 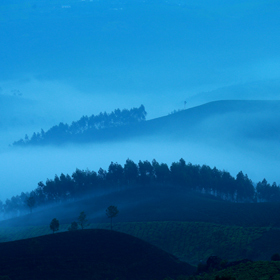 The perfect vantage point to experience Thekkady. Exquisitely designed in relaxed tones and textures, each sun-drenched room has impeccable interiors, elegant furnishings and every amenity one could wish for. 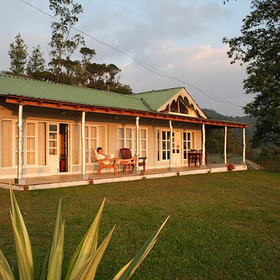 The highlight is a private deck that invites you to relax and enjoy the sweeping, unobstructed views of the silver ridges, wooded valleys and Periyar lake. For your Poetree dining experience, expect nothing less than the very best of Kerala, Indian and International cuisine crafted by our expert team of chefs.